Chipotle has had their share of food safety concerns as of late, but it’s hard not to love their food. I love their carnitas, but I do wish I could add a bit of crispy to them for added texture. This Crispy Instant Pot Carnitas recipe does just that. 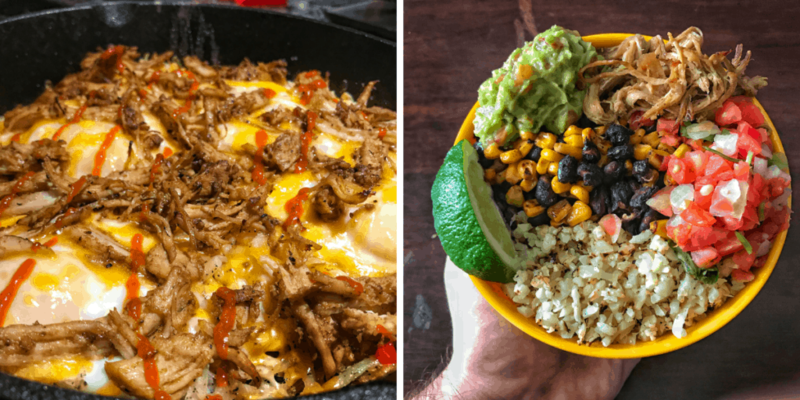 To round things out, I’ve also included recipes for things like burrito bowls, breakfast bakes, quesadillas, tacos, and all kinds of stuff to pair with the carnitas. 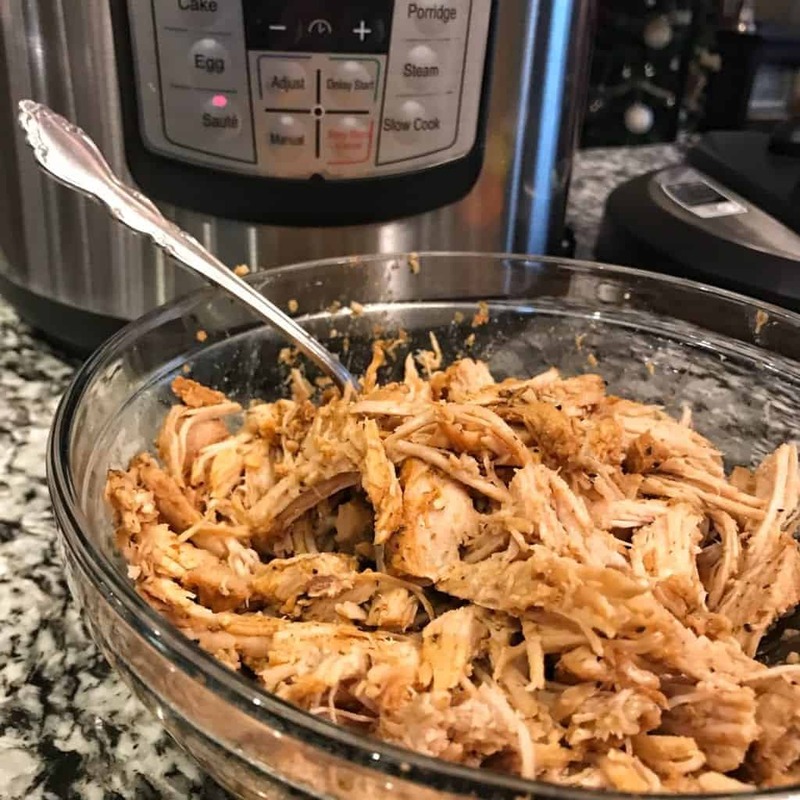 And just in case you’re reading this and don’t own an Instant Pot, I’ve included instructions on making the carnitas in a crockpot. 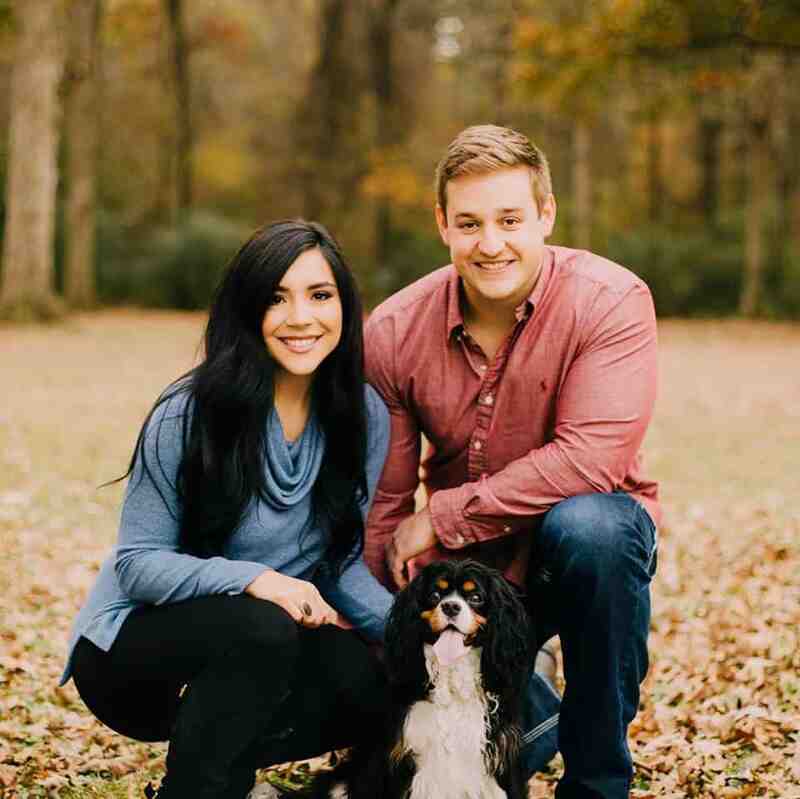 This recipe was inspired by Food for Life’s Weight Watchers Instant Pot Cookbook. I made a few tweaks to make preparation a bit easier and cut the ingredient list down. 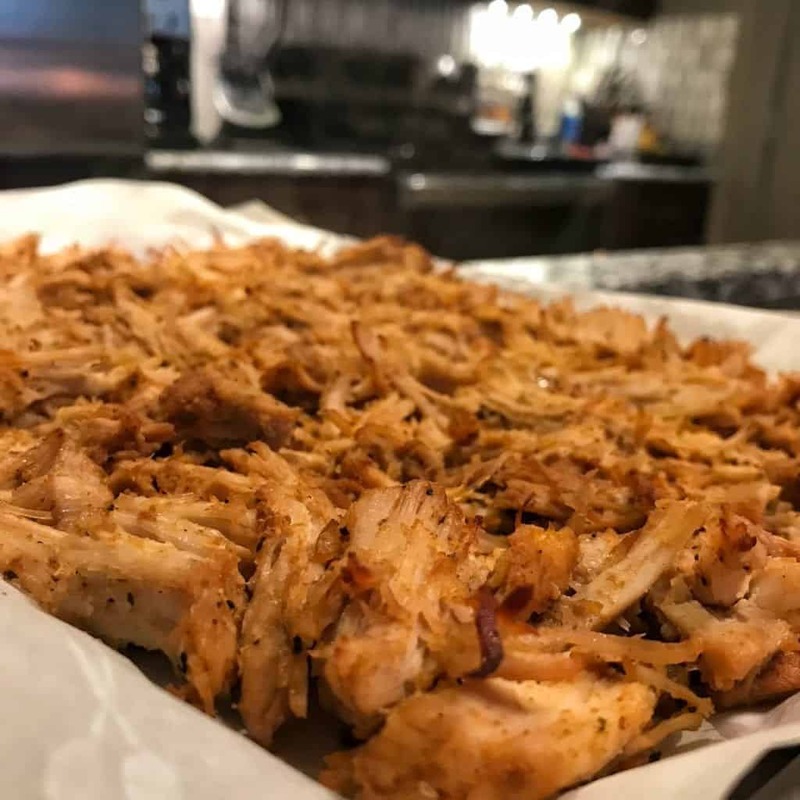 As you’d expect from one of my recipes, these crispy carnitas are crazy simple and high in protein. You’ll only need 5 ingredients, 3 of which are optional. Starting from the top, you’ll need 1.5 pounds of pork tenderloin. These are typically packaged at this weight, so you should be able to just pick one up and run. I’ve yet to find a Mexican or Southwestern marinated tenderloin in the store but if you come across one, that may work well here. If you find a marinated tenderloin that fits your fancy, you won’t have a need for further seasoning. The recipe calls for fajita seasoning, but you could use a taco seasoning or your own mixture of spices. I personally enjoy the smokiness of the fajita seasoning. If you use a marinated tenderloin or a marinade/seasoning of your own, be sure to account for calorie differences. For the base of your Instant Pot or crock pot, the recipe calls for one cup of light beer. If you don’t want to buy beer for one recipe, you can definitely use water instead. I typically stay away from any calorie-containing liquids in my recipes but thought the beer seemed sympatico with carnitas. Feel free to add onions, peppers, and other vegetables to the Instant Pot or crockpot. I decided against them since I planned on using these crispy carnitas in other recipes. So to recap, all you really need is the pork, a liquid, and some type of carnitas friendly seasoning. The video below gives a look at what to expect in terms of tenderness when your pork is done in the Instant Pot before going in the oven to crisp. If you get the timing right (which may vary between Instant Pot models or other pressure cookers), the pork will almost fall apart. And then you have the basic recipes like quesadillas, tacos, and more. You can never go wrong with taking a low cal flatbread like Joseph’s Lavash or FlatOut wraps and pan toasted with a bit of cheese for quesadillas. And to take things up a notch, I like throwing in the mixture from the high protein burrito bowls and making tacos or super loaded quesadillas. Okay, I think you’re ready to roll. You’ll find the recipe card below. 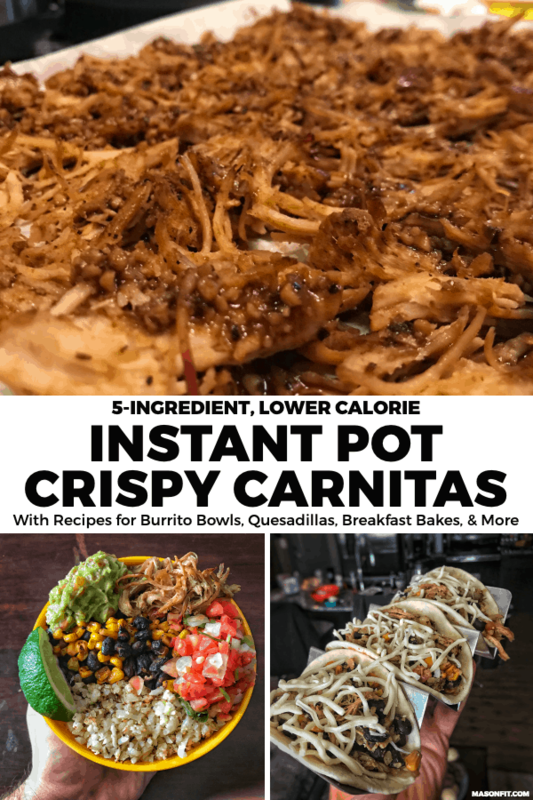 If you make these Instant Pot Carnitas, let me know how what you think! Take a pic and tag me on Instagram @mason_woodruff or join my free Facebook group and share it with the Proton Party. 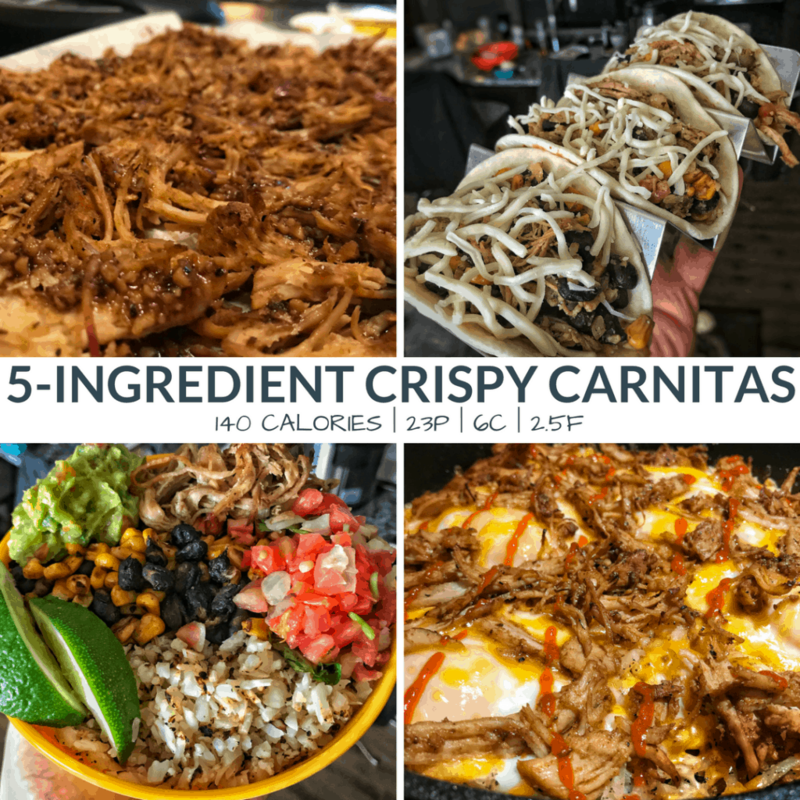 A high protein, low calorie Instant Pot or crock pot recipe for crispy carnitas. Add all ingredients and cook on manual for 30 minutes, using a quick release. Depending on the thickness of your tenderloin, you may need to adjust the time up or down slightly. 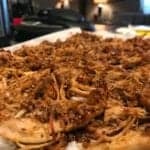 The pork should be tender and easily shredded with forks in the next step. Preheat an oven to 450F and line a baking sheet with parchment paper. Add the shredded pork and bake for 8 minutes. While the pork is in the oven, saute the remaining sauce in the Instant Pot until thick. After removing the pork from the oven, top with thickened sauce and enjoy! If you're using a crock pot, cook on low for 6-7 hours or high for 3-4 hours. And if you're doubling the recipe and using 3lbs of pork, cook for 45-50 minutes in the Instant Pot or 8 hours on low in the crock pot. You'll also want to cut a giant chunk of meat into smaller pieces for even cooking. You can use any liquid you'd like in place of the light beer. 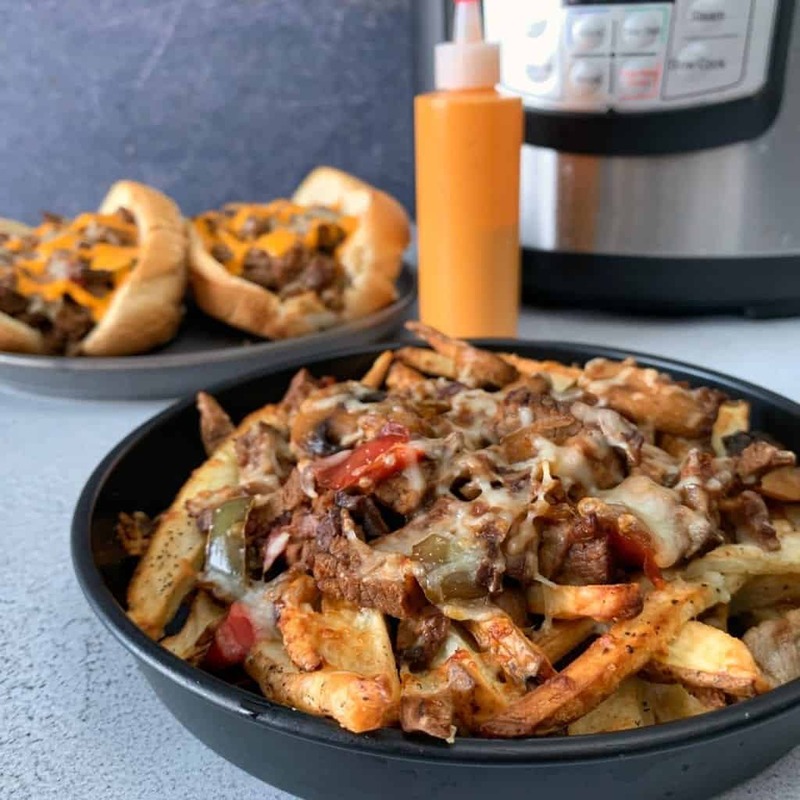 If you’re looking for another protein source recipe with five ingredients, check out my Instant Pot Cheesesteak recipe. It also includes lots of pairing options like cheesesteak fries and chipotle cheddar sauce. 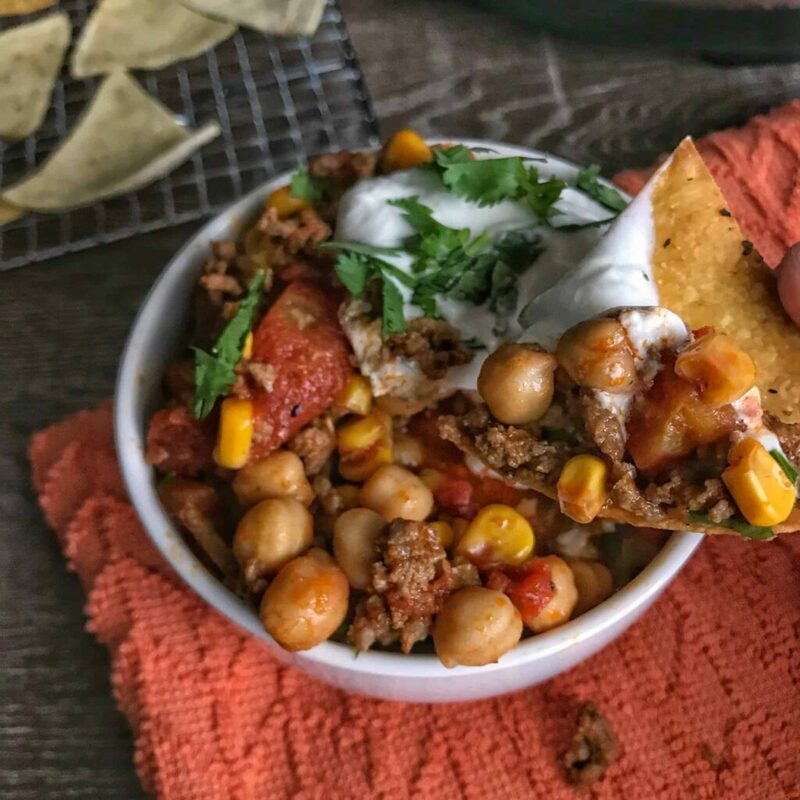 And if you’re looking for more southwest flavors, my chickpea and chorizo taco soup is one of my personal favorites. These were so easy! Took little-no time to prep. 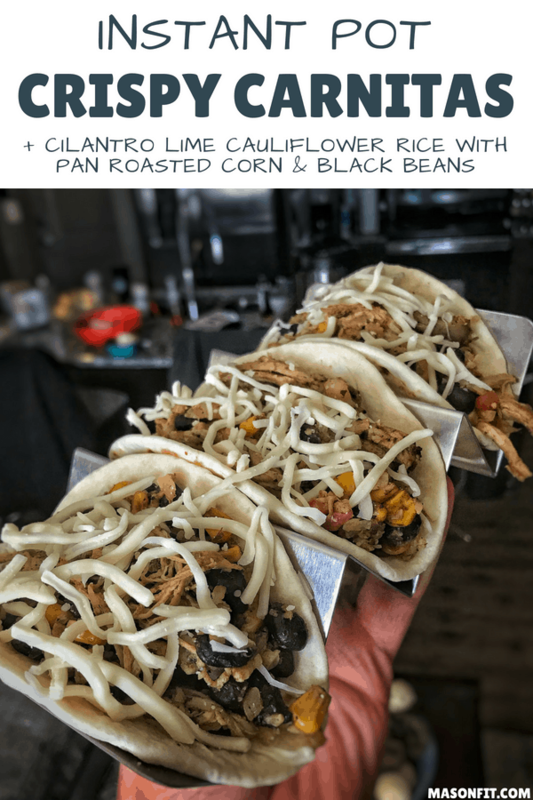 They were tasty and versatile- I had them in tacos, banh mi bowls, and in a bowl with veggies cheese and guac! Love the carnitas! So good and so easy. I’ve made it with or without beer and both were excellent. I recommend the Frontera liquid fajita seasoning if you are making it without the beer. I made this for dinner one night on a whim, I loved how easy it was to make! It was great for lunch the whole week, and I also enjoyed how quick it is to make as well. I followed the directions for the instant pot, and I haven’t used mine all that much, but the directions on this recipe made it really easy to follow. I was so impressed, so was my boyfriend! 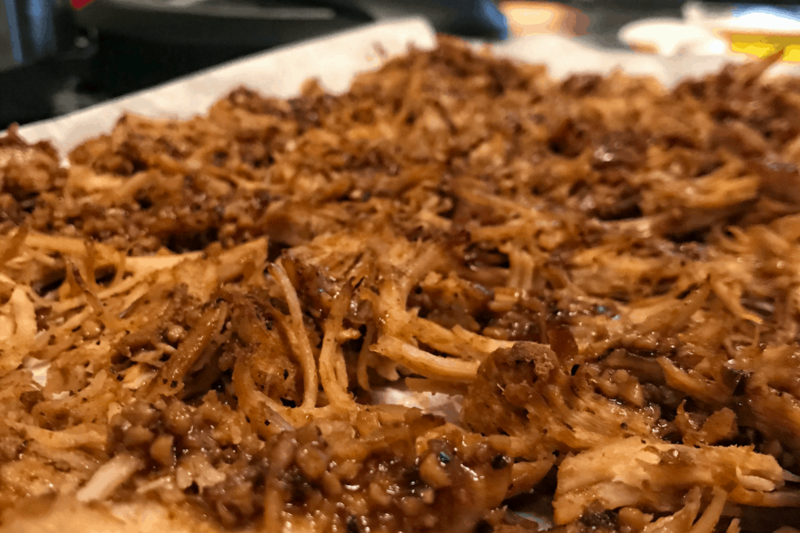 I make instant pot pork all the time and one thing that really takes it over the top is searing it first in the instant pot. It only adds a few minutes of extra time! I chop the loin up into a few chunks then sear them in a little oil. After all of the pieces are seared I add my liquid into the instant pot and deglaze the bottom of the pot before adding the meat back in and cooking it.